CALORIE- a term that haunts many of us …And Counting Calories was one such thing that drove me crazy in the last 2 years. 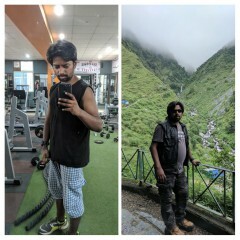 Somehow I always felt and many of you will agree, that, all the tasty and delicious food of the world has tons of calories, whereas the ones which we don’t find tasty, has fewer..
Two years back when I started my weight loss journey, my greatest difficulty was keeping a count of calories all the time. But then, it seemed to be the only option to lose weight. I was told that my calorie intake should be between 1200 cal- 1500 cal. Left with no choice, I did that for quite some time. Opting for low calorie food, staying hungry, doing cardio but sadly, the result was minor weight loss with pain in my knees, low energy levels and pale skin. I was unable to understand the reason for so many health problems. I was eating a healthy low cal diet (which seemed to be healthy then), was doing 45 min of cardio followed by strength training. Hence, I started reading about calories and weight loss. But, all my reading led to more confusion and I finally decided to do a course in nutrition. And that is when my understanding about being fit and healthy started to evolve. My studies made me identify the areas where I was lacking. I was so conscious of calories but was not paying any attention to food and its quality. Calorie is just a unit of measurement for energy content. It tells us how much energy we get by burning the food. And I realized that I should keep the definition of it as it is in my mind, and not make it the focal point of my fitness journey. Carbohydrates contain between 3 and 4 kcal per gram; proteins are about the same; fats contain approximately 9 kcal per gram. 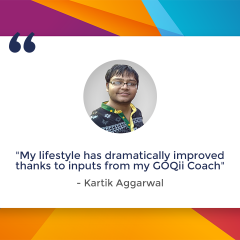 I was of the mindset that for weight loss to happen, I have to decrease the intake of calories and increase the output by staying physically active. But, things are not as simple as they appear. There is much more needed for correct weight loss to happen and to have a lean and fit body. And that much more is NUTRITION. From where these calories are coming is something that matters the most. 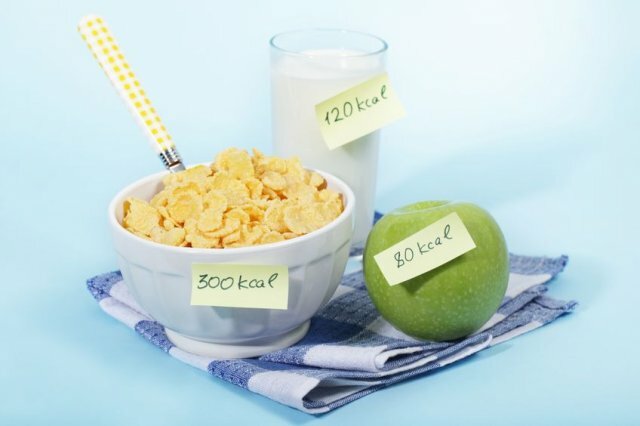 For example – if a person consumes 1200 calories from processed food and the other consumes 1200 calories from balanced diet which has carbs, proteins , fats and fiber … which one do you think will experience weight gain ? The answer is known to all of us- obviously the one consuming calories from processed food. So yes, 1200 calories matters but, what matters the most is- what these calories do in and to our bodies and from where these calories are coming i.e. the quality of the food. Eating fewer and fewer calories does not result in better weight loss. When our body senses an energy deficit, it slows its metabolism by reducing the output of important hormones. I have stopped counting calories now. My eating pattern has totally changed. My focus is in making my every meal more nutritious and balanced with the right combination of carbohydrates , fats , proteins and fiber.. I have been focusing on what my body tells me. I eat if I feel hungry because my body needs food then. I still want to look a certain way. I want to be healthy, lean and fit. But, at the same time, I do not want to harm myself in any way by not taking care of the nutrition part of food. I am confident about myself now, I know the weight loss is going to be slow but that does not matter to me anymore. Weight is just a number and no weighing scale can judge or tell me my fitness in terms of numbers. It’s me who can feel it. I know that what I am eating now is certainly having more number of calories than earlier but now, these calories are coming from the food that my body needs. I read your post. It was interesting. Could you tell me what all did you start eating? As in your breakfast, lunch, dinner. I am still struggling with the best foods to eat for weight loss. Hey, I start my day with a teaspoon of flax seeds with warm water ..followed by a fruit after 15 min. I don’t skip any of my meal and make sure to have variety in breakfast like poha, upma, idli..I try to have a fresh fruit smoothie with nuts in it for 2- 3 days in a week. Lunch is again with salads and curd always. I workout in the evenings, so I take care of my pre and post workout snack. Usually, I take a fruit 20 min before workout and post workout I try to have either egg sandwich or paneer sandwich, it keeps varying. I love water so I stay hydrated all the time. I do a water detox for 2 days in a week. 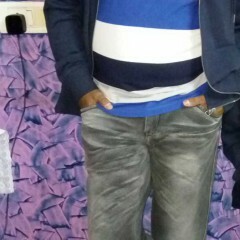 Hi disha, good work dear. M also facing same problem after my delivery. Now I know who should I contact for dis. Keep up the good work . A lactating mother should have a diet rich in legumes, green leafy vegetables, eggs, whole grain cereal, whole wheat bread or pasta, low-fat dairy products, brown rice …They should have at least 2 – 3 servings of fruits daily so as to get sufficient amount of vitamin c along with the other benefits of fruits. It’s very important to have a nutritious diet so as to prevent problems like low calcium levels etc. 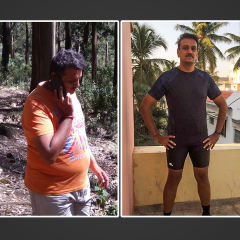 Disha, what’s your dietary advice for over 50’s who are not so much looking to lose weight (assuming they are reasonably ok in terms of weight) but looking to preserve/build STRENGTH and STAMINA for endurance and sports WHILE NOT opening themselves up to undue health risks due to a biased diet. To clarify – a young athlete may be advised to have some extra protein after exercise, or perhaps carbo-load before an endurance event. Would the same type of advice apply to an over-50? My advice for the people who are above 50 years of age is to have a balanced eating plan. More emphasizes should be on fruits, vegetables, low-fat dairy products, whole grains, fish, beans, seeds and nuts…Sodium and sugar intake should be limited. Make sure to have proper pre and post workout snack… A balanced diet can help to prevent and control diseases like hypertension, osteoporosis along with active lifestyle. It has exactly the point. By eating certain food we can burn the calories that food provides us. Apart from the calories that are involuntarily burned by body by its metabolism which are very few in number…. Awesome Disha….u have mentioned in simple words about how to stay fit. Also gained knowledge from your previous blog of how to reduce your calories and stay fit. Thanks for sharing valuable words….